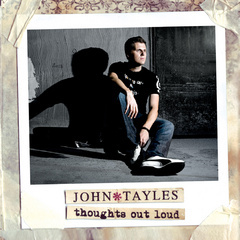 Band Members John Tayles - Acoustic Guitar, Piano, Vocals. Whether he’s singing in crowded bars in Canada or teaching music to people in Uganda, it’s evident the role music plays in the life of John Tayles. The singer/songwriter from Mississauga, Canada, has been writing music and performing for many years. John is known for writing acoustic guitar and piano-driven songs with catchy, infectious melodies, smooth vocals and deep, vulnerable lyrics. Throughout the past few years, John developed as an artist while living in London, Canada, and attending the University of Western Ontario. During that time, he performed live on local radio stations, on the New PL Breakfast Television Morning Show and over 150 solo acoustic shows in three years. After his music caught the ear of Warner-Chapel songwriters, he was invited to Los Angeles to work with successful industry professionals to hone his craft. John, having graduated from university, volunteered his time to help the less fortunate in Uganda, Africa, in August 2007. While there, he had the opportunity to teach 20 young men how to play the guitar and the piano. “Music is a common human language, even though it sounds different all over the world. It was great that I could contribute something like that through my music,” John says. In November 2007, John was voted the best singer/songwriter in an international, online music competition held by Slicethepie.com. John competed against 14 other finalists and became the first Canadian to win the contest. The music John writes is like an open journal about his life. That’s the idea behind the name of his new album, Thoughts Out Loud. The 11-track album, due for release in September 2008, was produced and mixed by Vancouver-based Darren Grahn (Bon Jovi, Metallica, Black Eyed Peas). On it, John sings of love, break up and everything in between, all strung together with a pop-rock sound, relatable lyrics and catchy vocal hooks. The title track is a high-energy, rock song that showcases John’s ability to transform his internal dialogue into a clever and candid tune. The songs of the upcoming album capture the raw emotion of John’s experiences, and it's that authentic, heart-on-his-sleeve writing style that has always made his music stand out.